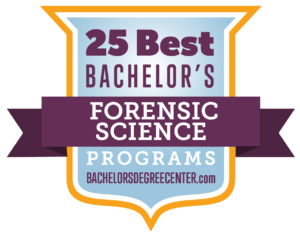 The Forensic Science program at EKU offers students the advantage of earning your degree with faculty and staff under the longest running forensic science program in the nation. Our program has maintained accreditation from the American Academy of Forensic Sciences for the Forensic Chemistry option for many years and is currently working towards accreditation for the Forensic Biology option. For complete details regarding our curriculum requirements, see Degree Requirements in the University Catalog. 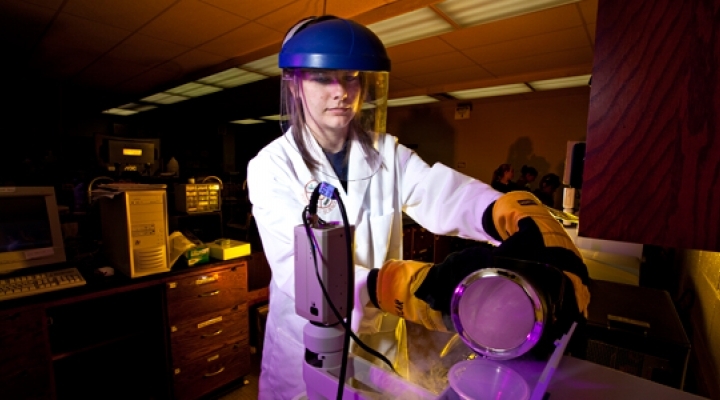 ♦ The Forensic Chemistry Concentration provides a strong core academic curriculum in chemistry and laboratory techniques if you wish to pursue a career in crime labs in both the public and private sector. It is also possible to double major in this option and the B.S. Chemistry, Chemistry option which will providing increased opportunities in the job market. If you think you may be interested in this degree, look at this sample four-year schedule which can serve as a guide to classes you should take and when you should take them. Your actual schedule may depend on pre-college preparation, course load and several other factors and may differ from this sample. ♦ The Forensic Biology Concentration offers a strong core academic curriculum in Chemistry, but also offers a sound background in the biological sciences, making it the perfect if you are interested in DNA and biology work.